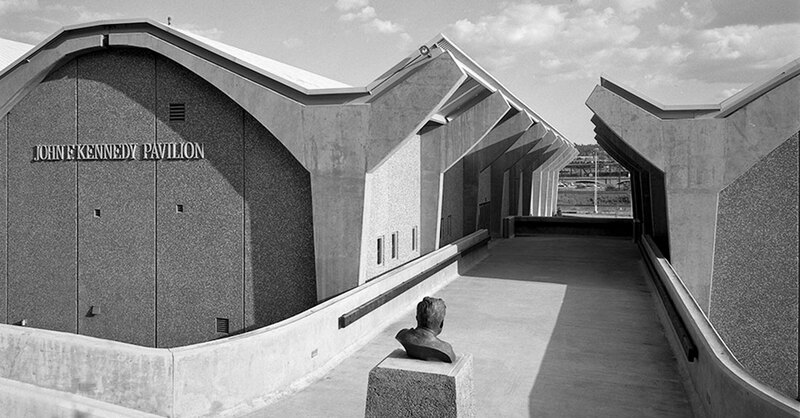 Named in honor of the country’s first Catholic president, Gonzaga University’s John F. Kennedy Memorial Pavilion was completed in 1965 at a cost of $1.1 million. The Neo-Expressionist building boasted two gymnasiums, a standard-size Olympic pool, multiple exercise rooms, and a basketball court that could hold 3,800 fans. The pavilion also served as a concert venue, hosting Led Zeppelin, Iron Butterfly, and the Beach Boys. 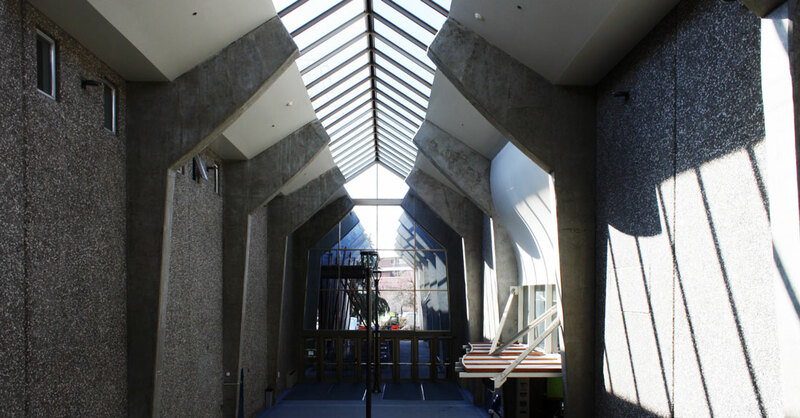 After a 1986 renovation, it was re-named the Charlotte Y. Martin Centre. Generally speaking, Neo-Expressionism is the mid-20th century “reinvention” of pre-World War II Expressionism. 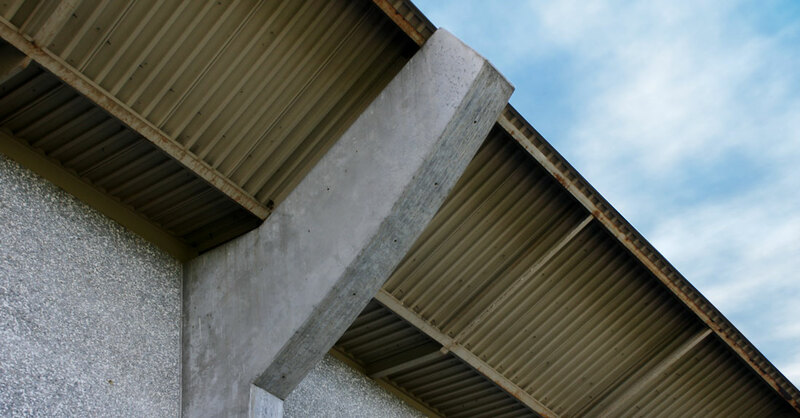 Intended to evoke an emotional rather than an intellectual response, it’s typically sculptural and theatrical in appearance, and often exploits the best qualities of concrete. It’s most commonly seen in religious and public buildings from the period. 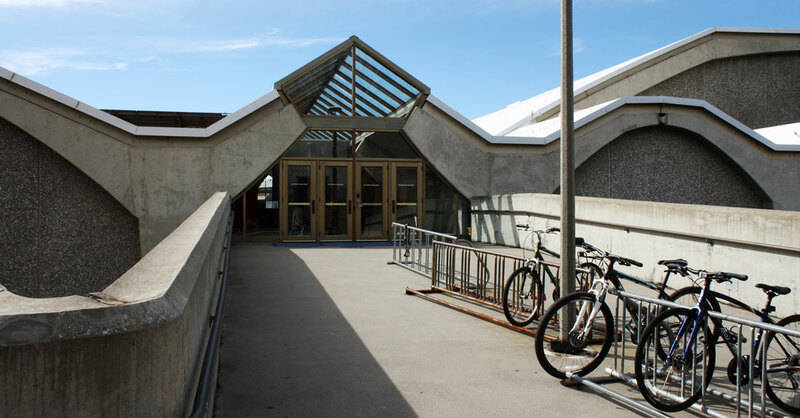 Characteristics of the style in the Kennedy Pavilion can be seen in its non-traditional structure, organic design, unconventional building materials, and striking roof form. 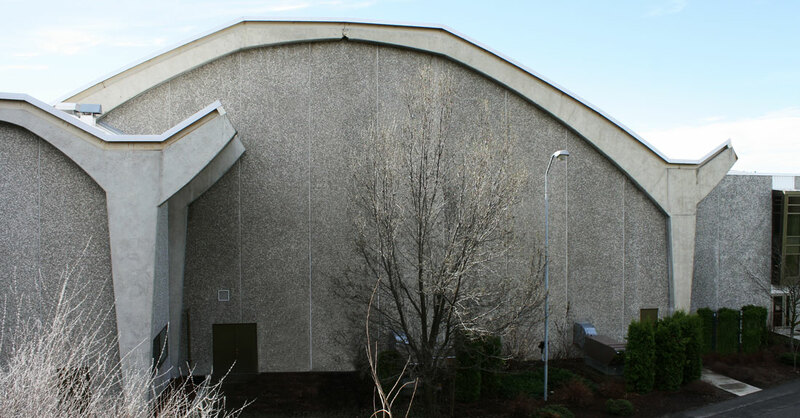 Although its integrity has suffered over time, it is very unusual for a university to preserve a mid-20th century building in the midst of a growing, thriving campus, and Gonzaga University has done a good job of retaining the Kennedy Pavilion. 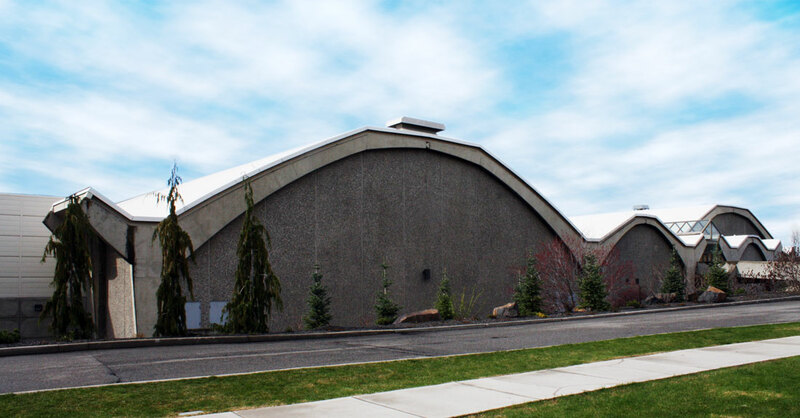 Royal A. McClure (1917-2006) and Thomas R. Adkison (1917-1986) established an architectural practice in Spokane in 1947. Their work – university buildings, schools, hospitals, clinics, churches, homes – was widely published in many prestigious architectural publications of the day, including Architectural Forum, Arts & Architecture, and Progressive Architecture. 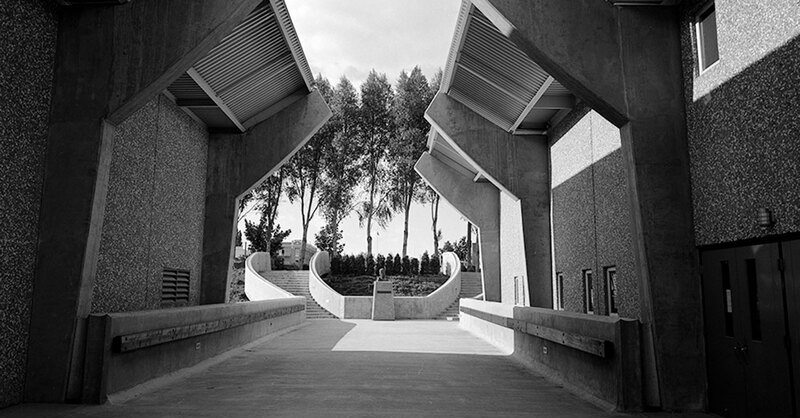 Both McClure and Adkison were active in the Spokane chapter of the AIA and served on many local and regional committees and boards, including as charter members of the Planning Association of Washington. The firm continued until 1966, after which McClure practiced on his own, then as McClure/Nixon starting in 1970. Adkison, who was in charge of the Expo ’74 World’s Fair site plan, founded the Spokane architectural firm now known as ALSC.